Its been a bumpy ride recently in the markets. So with all of the noise that's been occurring the one key issue everyone is wondering: is this the end to the 8+ year bull market? Is this the next recession finally rearing its ugly head? Let's analyze the facts and see if the next recession may be on the horizon. Also let's look at when a recession eventually does hit how long it will it last and how long before we bounce back to previous levels. Don't listen to the pundits (as the chart below suggests). They have incorrectly been calling for the next recession since 2012. What is important is the sentiment of people who buy things like consumers and people who make things like businesses. Consumer confidence is at all times highs. Business sentiment (judged by PMI a survey of business owners) is at all time highs. People are currently excited to make and buy things. This is good for the economy. Strong across the board. Unemployment is below 4%. Job openings and job quit ratings (ie. I quit because I think I can find a new job) are at 30 year highs. Even lesser followed indicators like vehicle sales, retail sales, trucking stats are all flashing green. 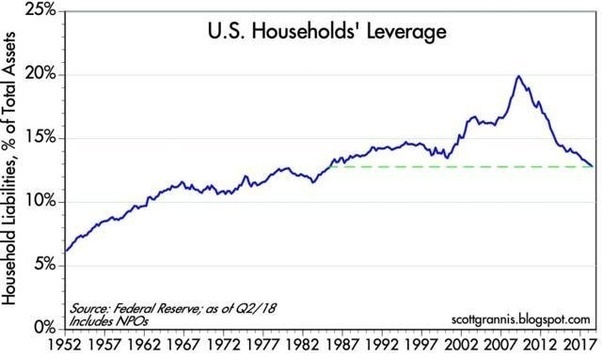 The one declining indicator to watch is home sales but this could be a broader macro trend as millennials start to come into their prime house buying years, and express less of an interest in buying houses than previous generations. What about oil and the dollar? We have lower oil and a higher dollar currently. 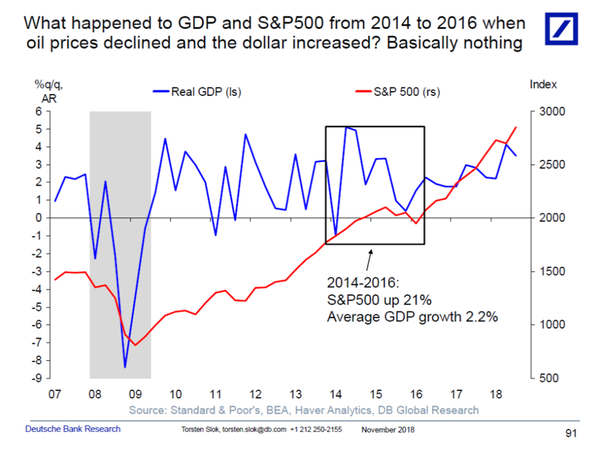 When this happened last, the result was a higher stock market and unchanged GDP growth (see below from DB). These two factors should prolong the current cycle. Also its important to note a higher dollar holds down inflation. When inflation is higher the FED likes to raise rates which would hurt the market once again. This isn't something that looks to be happening in the near term. 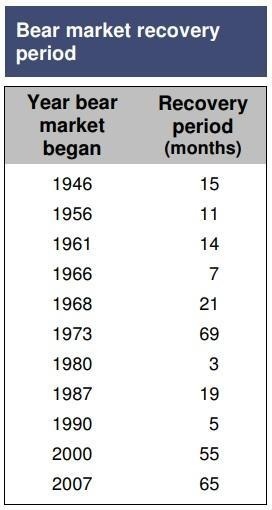 Recessions are scary. Your retirement account is declining, all of that hard earned money out the door. You think maybe I should have just thrown it under the mattress! 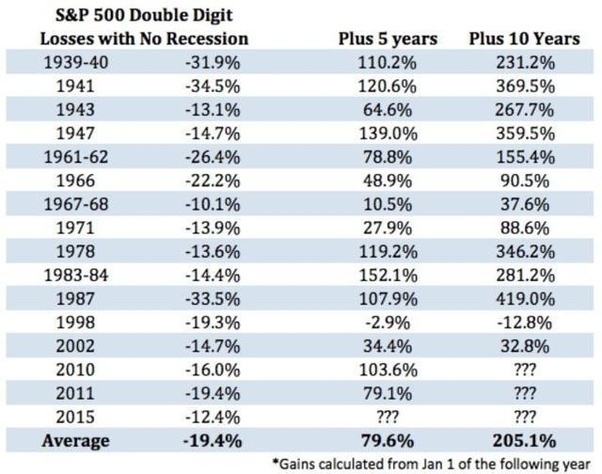 But wait let's look at some of the worst recessions in history. Since WWII the worst recession has latest about three years with the average somewhere in the year and half range. Ok so 1-3 years is a long time but a blip in the grand scheme of things. So if we have to bear some pain for a year or two how long does it take to bounce back? How long will it take for the economy to bounce back? 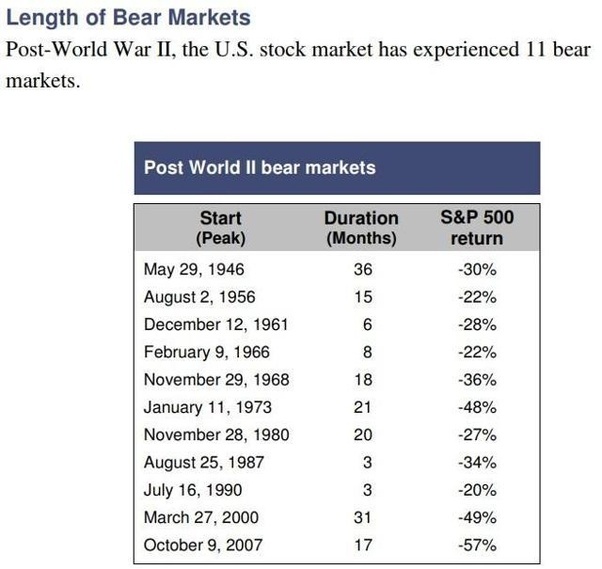 The evidence says it takes a bit longer than that downturn to bounce back to previous levels. Still its important to realize the economy does bounce back AND exceed its previous levels. So even if you put money in the S&P, let it ride through the 50% declines you would get your money back and more. Look at the great depression and then the subsequent period after if you really want to see what happens when things let hairy. Still 100% returns the next 5 years. So the next recession is probably a year or two off. Contrary to what the pundits say, fundamentals are strong, and looking around the world the US is really the only place offering returns right now. When the next recession does hit, make sure to remember the above charts and have faith your holdings will come back with time. When the next recession does come, hunker down, find ways to make extra money, maybe even in real estate and keep on keeping on.